Experience an ideal blend of modern civilisation and the natural environment! 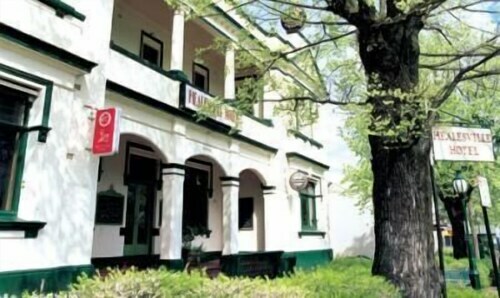 Our Marysville accommodation is sure to play the perfect host for your relaxing and unwinding getaway. With a range of accommodation styles including luxury apartments, friendly bed and Breakfasts and tasteful motels, visitors are assured of finding a restful base to a destination that oozes tranquillity. Nestled in a landscape of ancient mountains, lush forests, ferns, sparkling rivers and streams and spectacular waterfalls, Marysville offers a unique experience in every season of the year. Soak up the soothing sounds of spring as you take a walking tour through the rolling streams of Stevenson Falls; chase a winter adrenalin fix as you carve through the fresh powder of Lake Mountain Alpine Ski Resort; or simply indulge in the nostalgia and romance of a serene picnic in the surrounding parks and waterfalls. Marysville also plays host to a number of local festivals throughout the year including the Marysville Wirreanda Music, Food and Wine Festival, The NGK Rally of Melbourne, and the famous World’s Longest Lunch. The history mixed with the atmosphere of these festivals creates that extra dimension to a town already bursting with culture. So perhaps it’s time to take that well earned escape away from the hustle and bustle of the city, and get back to the soothing sights and sounds of nature. Indulgence starts right here with our Marysville accommodation. How Much is a Hotel Room in Marysville? 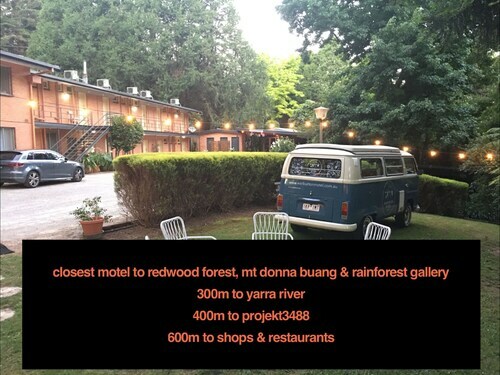 Hotels in Marysville start at AU$139 per night. Prices and availability subject to change. Additional terms may apply. Very central location, clean and well-taken care of, good facilities for children - we were all very pleased with our stay. We would highly recommend this property. Beautiful location, warm and welcoming hosts, and gorgeous design inside and out made for a very peaceful and happy stay. Thank you! We liked the charm, the room was great, the beer garden and restaurant were lovely. The only real downside was 11:30 on Sunday night when it’s apparently the perfect time for the council to go up and down the street really thoroughly with a leaf blower.... thankfully the hotel had us covered with earplugs beside the bed.